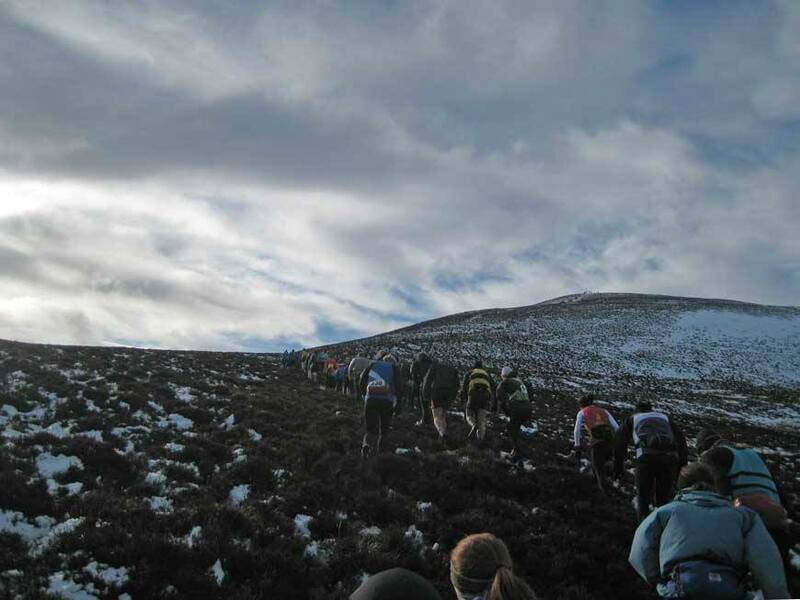 A contingent of 6 Northern Ireland runners made the journey to Edinburgh to compete in the prestigious Carnethy 5 Hill Race. An early start leaving Belfast City Airport at 8.25am meant we had plenty of time to stop off at nice café in Penicuik for coffee and scones before the 2pm race start. As forecast, the freezing rain stopped just in time (but not the wind!) and the sun came out to shine on a great day’s racing. With wet snow, lots of mud and a strong wind, it was not a day for fast times. Ryan Stewart (Larne AC) secured the first spot for Northern Ireland covering the distance in a very impressive 58.25 minutes in 22nd place overall. Ryan is currently at Dundee University so not as far for him to travel. He was followed behind by an impressive run by Shileen O’Kane (Lagan Valley AC) in 1.09 minutes giving her 12th place overall in the ladies and 1st FV40. Hazel McLaughlin (Lagan Valley AC) followed with a strong run to take 23rd place lady in 1.15. 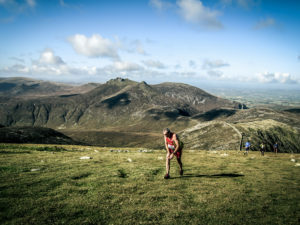 Eugene McCann (Mourne Runners) ran a good race in 1.16 minutes and 227th overall. Mary Mackin (Dromore AC) was next in 1.19 minutes and 34th lady and Anne Sandford (Lagan Valley AC) in 1.21 and 43rd lady was nursing an ankle injury so was happy to finish. Peter Bell (MV50) completed the race in 1.22 giving him an overall finish of 315th. The Lagan Valley ladies did enough to secure 3rd place in the ladies team out of 9 teams. A well organised great race to start the season and well worth the trip.